Hosting, Co-location of servers in our data center in Akron, Ohio and Freeport, Pennsylvania : eyemg : web. mobile. social. From appropriate hardware and bandwidth to "White Glove" service, eyemg's Local Data Center™ offers mission-critical hosting and colocation at very competitive pricing. With disaster recovery options in our Freeport, PA location, we can offer Cleveland, Akron and Canton companies peace of mind right in their backyard. Something many other web firms don't have: eyemg's Local Data Center owns its own IP address space and has the ability to provision your applications with an appropriate number of static IP addresses. Additionally, we have the ability to configure our address space to provide true disaster recovery and failover options in our Freeport, PA data center. Structural Integrity: eyemg's Local Data Center™ was built within the old ACME bread baking company building now known as Union Point Building, where the eyemg offices are also located. The building was also known to some locals as the time and temperature building because of a large clock that was once affixed to the roof of the building. Being home to a bread company, the building's structural integrity, concrete walls, floors and ceilings, made for a perfect data center location. We offer: HIPAA Compliant Data Hosting, Redundant Network Connectivity, Disaster Recovery, Network & Physical Security, Power Back-Up, Environmental Controls, Server Monitoring Data Archive and Back-Up, Systems Administration and Web Site Maintenance. 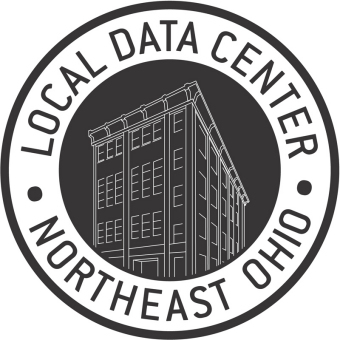 eyemg's Local Data Center maintains diverse connectivity to our Akron, OH data center through two separate providers â„¢ Fidelity Access Networks (http://www.fidelityaccess.com) and Time Warner Cable Business Solutions (http://www.twcbc.com/neohio/businesssolutions/broadband.html). eyemg's Local Data Center maintains diverse routing for both networks using BGP IV routing and eyemg's Local Data Center owned Internet Protocol address space. Each of our providers is multi-homed to major upstream network providers â„¢ AT&T, Broadwing, XO Communications, Global Crossings, Verizon Business Networks and Fiber Access Networks. eyemg's Local Data Center maintains an optional disaster recovery site in Freeport, PA. Our Freeport, PA data center is connected via SONET ring technology to redundant optical circuits serviced by two major upstream network providers ï¿½ Verizon Business Networks and Fiber Access Networks. Integrated hardware includes Cisco ASA firewall hardware and appropriate software. eyemg's Local Data Center has contracted with a local Cisco premier partner for initial configuration and ongoing third-party support. eyemg's Local Data Center will maintain all firewall configuration administration access/rights to the firewall and secondary router/switch infrastructure. eyemg's Local Data Center also uses Snort, an open source network intrusion detection system, capable of performing real-time traffic analysis and packet logging on IP networks. It can perform protocol analysis, content searching/matching and can be used to detect a variety of attacks and probes, such as buffer overflows, stealth port scans, CGI attacks, SMB probes, OS fingerprinting attempts, and much more. The entire eyemg's Local Data Center facility is monitored by ADT Security Systems providing 24 x 7 intrusion and fire alert. In addition to the facility security, the server room is a separately locked and monitored sub-section of the eyemg's Local Data Center offices. eyemg's Local Data Center maintains brown-out power redundancy with APC Smart-Ups for a minimum of 20 minutes per server. Continuous back-up power is provided through a single Kohler 60KW three phase generator. Continuous Power Rating: 60KW 60 Hz/25KVA 50Hz, Prime Power Rating: 60KW 60 Hz/20KVA 50 Hz. This unit is fueled by natural gas service contracted through Dominion. Redundant Liebert DataMate air conditioners provide a combined 6 tons of cooling service to the 650 square foot data center. Client servers are monitored 24 x 7 by PING, ICMP and Active Services software testing devices. In the event of a server or network failure, pager notifies our network technicians and troubleshooting, service is begun immediately. Your server will be archived/backed-up on the following schedule: 5 incremental back-ups/week and one full back-up/week. Data will be backed-up to eyemg's Local Data Center owned archive media system(s) using eyemg's Local Data Center owned hardware and software. eyemg's Local Data Center has always prided itself on our ability to provide white glove service to our hosted customers. We continue our dedication to 24 x 7 x 365 service. 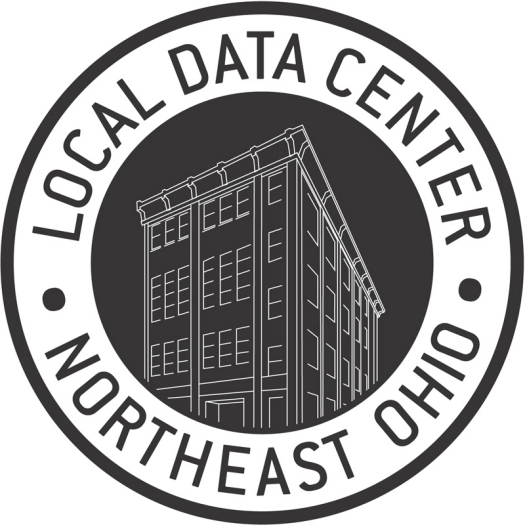 An eyemg's Local Data Center systems administrator can always be reached using our OnlyOne telephone number after-hours: (330) 294-1058. We strive to provide the best site maintenance in the industry. Our clients will always have access to appropriate eyemg's Local Data Center staff when the need arises. Graphic Design, Systems Administration and Programming services are available 24 x 7 x 365 by contacting Andrew P. Holland. We will provide condition-based rates upon definition of service requirements. We strive to keep our hosting facility up-to-date. Please call or e-mail us if there is something you need that may not be listed here. Contact us at 1-800-316-0072 or info@localdatacenter.com for more information, or request a free quotation. Have an emergency with a website hosted at eyemg's Local Data Center™? View a list of our emergency contacts.